If you’re looking for a gift hamper with a ‘wow’ factor, then look no further. and corporate clients. They are filled with delicious products and beautifully presented. Products you would like and we will put together a bespoke hamper for you. info@taylorsoxford.co.uk and we will contact you to discuss. And Taylors 10 Elms Parade, Botley. 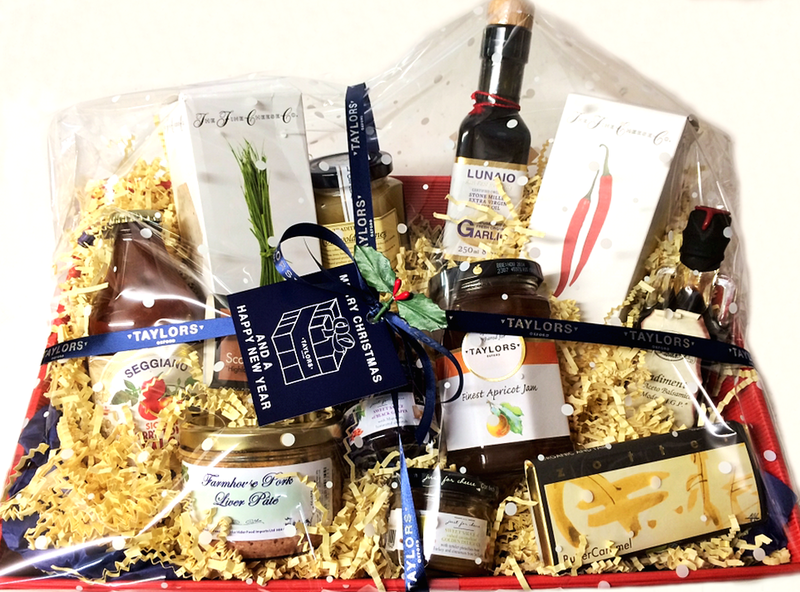 Taylors Hampers are fabulous. Beverley and her team created a menu of delicious treats and crafted sumptuous Christmas hampers that have been thoroughly enjoyed by me, my colleagues and customers. We’ll be back for more!